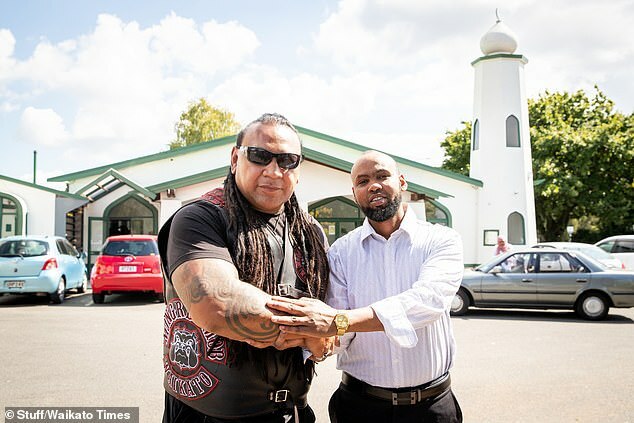 Members of the Waitkato Mongrel Mob have vowed to stand guard outside a New Zealand mosque as Muslims take part in the first Friday prayer since the Christchurch massacre. 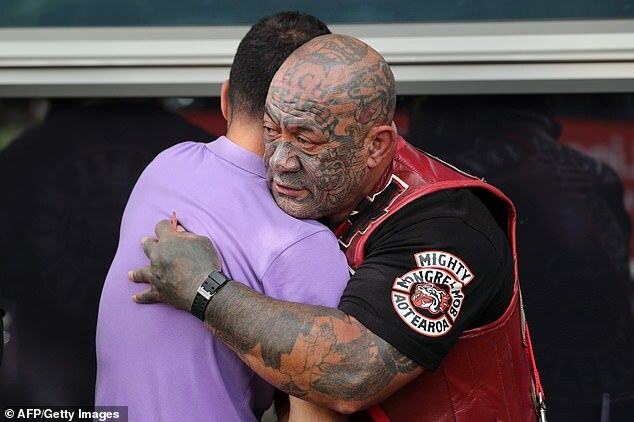 The Mongrel Mob, along with various other biker gangs across the country, have stepped up to show their support in the wake of the attack, which left 50 people dead and dozens more injured. ‘We will support and assist our Muslim brothers and sisters for however long they need us,’ Fatu told Stuff. ‘We value them as humans and we appreciate that they value us too,’ he said. Mohsin, however, urged that it is important for the community to show they will not bow down to terror and has invited the gang to pray inside the mosque as opposed to standing guard outside. ‘There are no fears, and we are not scared. They don’t have to stand outside the mosque, they can come inside, right behind where the sermon is given,’ he told the New Zealand Herald. He said the Muslim community has been offered support from the police as well. The community has opened its doors to all members of the public on Friday and is expecting a large turnout. Mohsin said they will offer space at the park if they cannot accommodate everyone inside. ‘We would love everybody to come, but we don’t want anybody to show they are scared. We are not scared. You don’t have to stand outside the mosque, we want you to be inside, with us,’ he added. Fatu promised the Mongrels’ gesture will be a ‘peaceful’ one and the gang will not be armed. ‘We are peacefully securing the inner gated perimeter, with other community members, to allow them to feel at ease,’ he added. 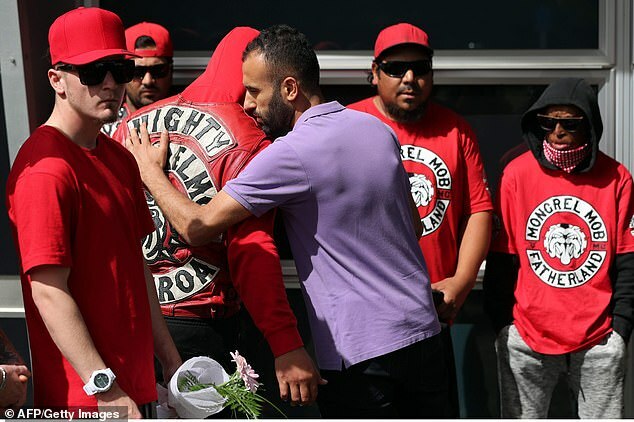 So far, members of the Black Power, Mongrel Mob, Hells Angels, and King Cobras have taken part in tributes to honour the victims this week. 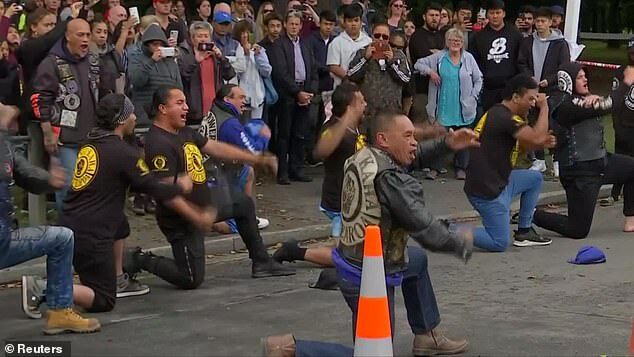 On Sunday, 10 members of Black Power, which was first formed in 1970, gathered near the police cordon at Al Noor Mosque in Christchurch to perform a moving haka. 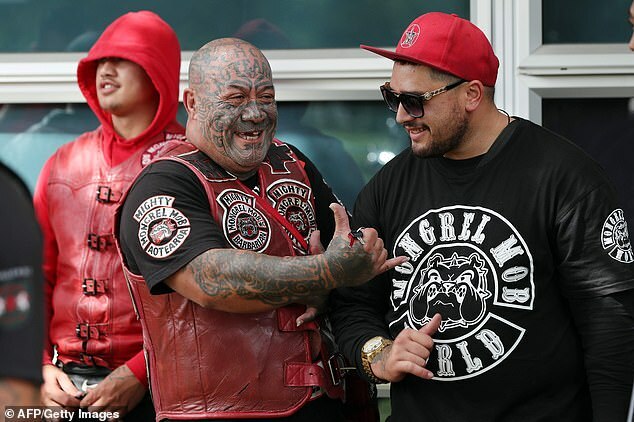 In Sydney, members of the Mongrel Mob have also been seen guarding Muslim places of worship. 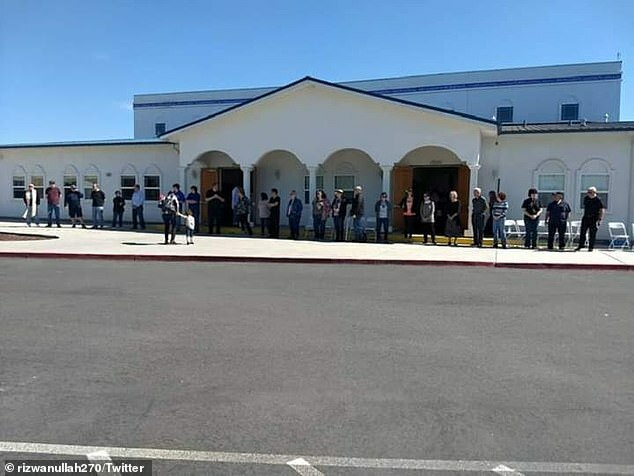 Tributes and gestures of support have been even carried out overseas as social media photos showed people forming a ‘human chain’ around a California mosque on Saturday, News Hub reported. 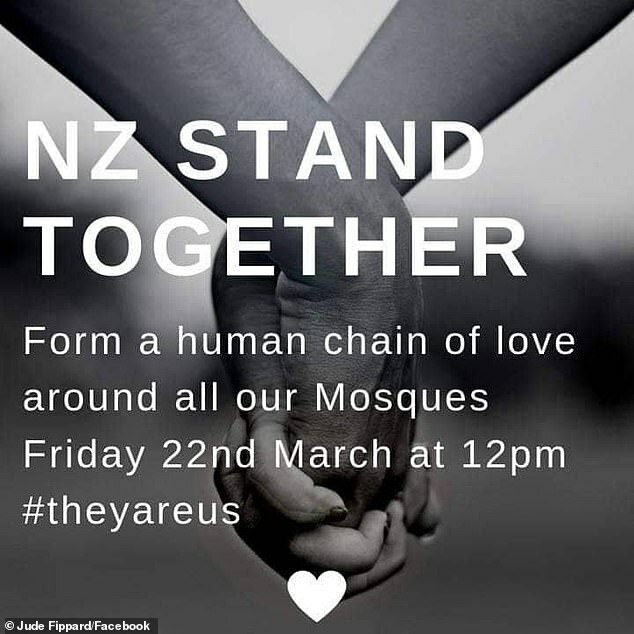 In New Zealand, organiser Jude Fippard has created a Facebook event called ‘NZ Stand Together’ inviting people worldwide to take part in a ‘human chain of love and support’ around their local mosques on March 22.